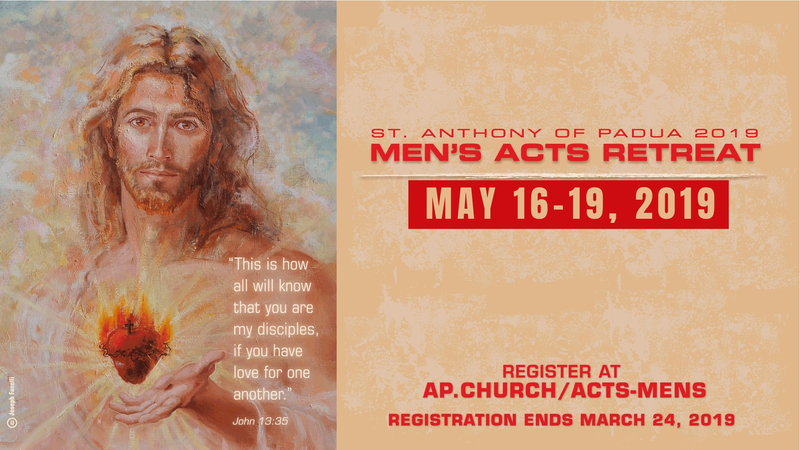 Registration for ACTS Retreats is held in person on our parish campus several weeks prior to the retreat weekend. Deadline to submit a registration request is March 24, 2019. Bus transportation is provided to Circle Lake Retreat Center and then back to the parish campus. “They devoted themselves to the teaching of the apostles and to the communal life, to the breaking of bread and to prayers. Adoration – the call by, acceptance of, and response to God. Community – the love and caring of each other. Theology – the study of God through scripture and the Catholic Faith.